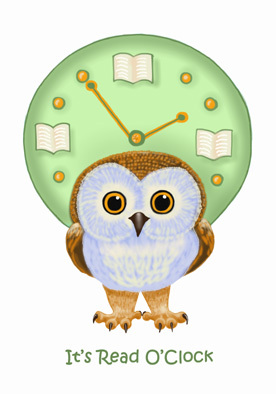 I’m a real Book Owl – I could stay up all night with books (if I didn’t need the sleep, that is). I’m an artist too, and one day when I was sketching, a little owl appeared on the paper. I named him Book Owlie. He likes books too, and wants to tell it to everyone. 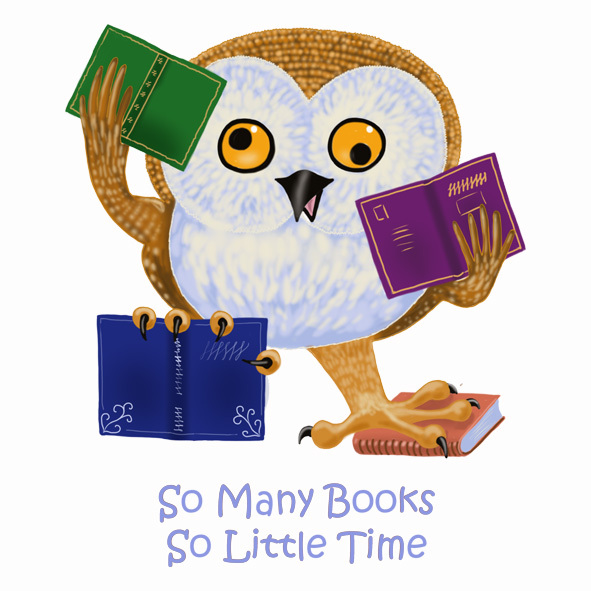 If you like little Book Owlie, you will find his Zazzle and Cafepress homes by clicking on the links. Little Book Owlie tells that it’s read o’clock. Any time is good for reading – especially when you can download hundreds of books to your cellphone or pad. I’ve spent many a moment reading with my mobile phone while waiting in a que, or sitting in a train or bus, or waiting for someone. 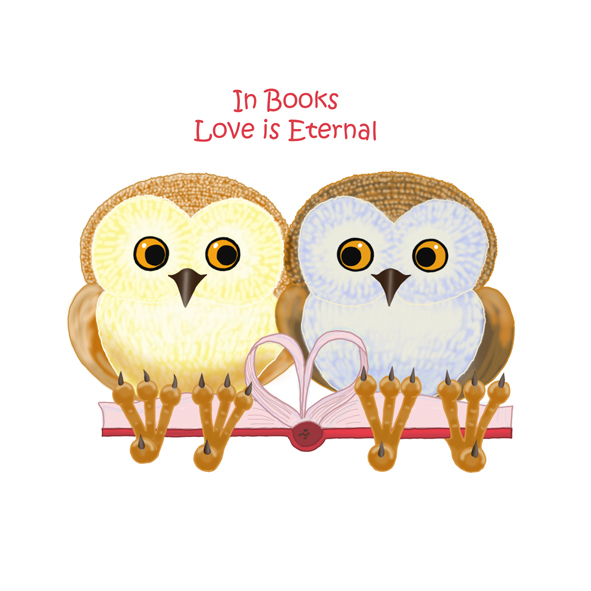 If you think Book Owlie is right, and would like to share the joyful message of reading books anywhere, anytime, you will find the links to Book Owlie’s Zazzle and Cafepress homes on top of the page. So, you love books? Don’t we all. The only problem is there is never enough time to read all the books we’d like to read. When I painted this Book Owlie, my husband peeked over my shoulder and commented that finally I had painted a self portrait. I cannot say he is wrong… I have books lying in every room (yes, even the bathroom), and I steal a moment or two to read a few lines if at all possible. Now here’s a trophy any reader would appreciate! I wouldn’t mind receiving this kind of a trophy! 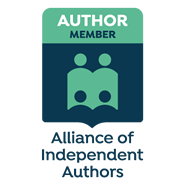 If you have anyone you know who is an avid reader, and would deserve some recognition for it, show this little Book Owlie to them. 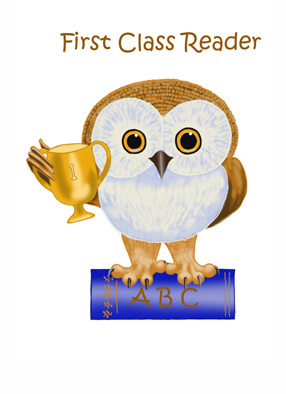 You will find little Owlie at home when you click the store links on top of the page. 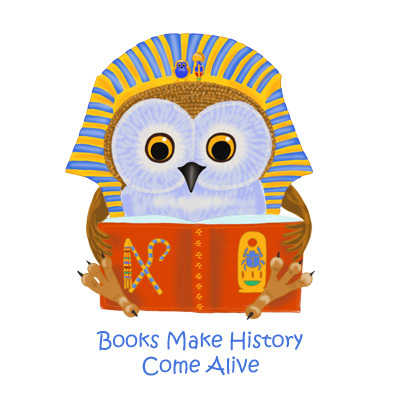 I know from experience what Book Owlie says here – studying Egyptology for five years certainly gave the idea to this little painting. 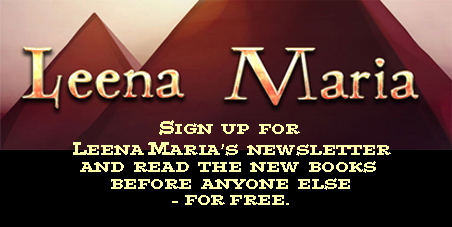 I love historical novels too, not just non-fiction books. They make me feel alive in an era I never knew. The world around us changes, but one thing remains – books. Little Book Owlie here loves books… How could it be otherwise? Fears and ignorance cause many aggressions in this world. Books can educate us and help us understand each other and the world. That is also why it is very important people around the world learn to read and write. And how about buying a book, when you next wonder what to buy as a present? What could be a better place to live than a house full of books? 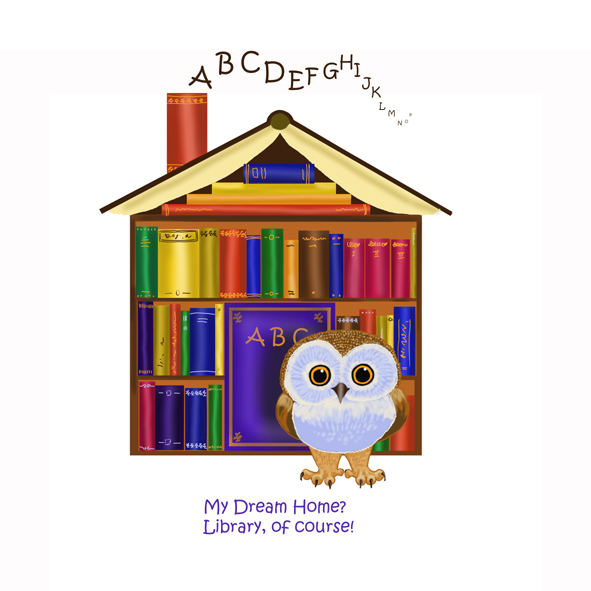 Little Book Owlie knows the best home is one filled with books. A good-sized library with a bed, bathroom and kitchen… Lots of cozy armchairs and reading lamps… Rows and rows of book shelves arranged on the walls. Ladders and step stools to reach the higher shelves. 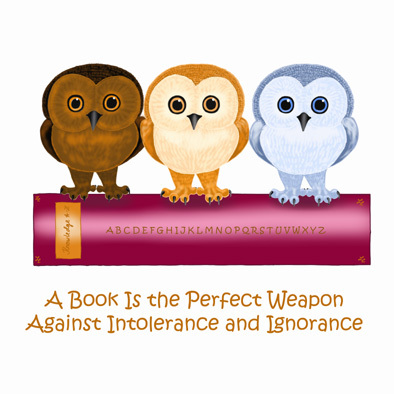 If you agree with Book Owlie here, this painting is available at Zazzle and Cafepress (links at the top of the page). Never believe anyone who says romance novels are not worth reading. They will have read one, even if they have done it in secret.